BANGKOK, THAILAND - October 29, 2012. Road traffic, top view on moving cars and motorbikes. hd00:09BANGKOK, THAILAND - October 29, 2012. Road traffic, top view on moving cars and motorbikes. 4k00:26HO CHI MINH CITY, VIETNAM, MARCH 2017: Locals on motorcycles navigate through the busy intersection in a large metropolitan city in Vietnam. Cool view from above of chaotic traffic in Ho Chi Minh. 4k00:29HO CHI MINH CITY, VIETNAM, MARCH 2017: Local Asian people on scooters commuting through a chaotic junction in Ho Chi Minh city. 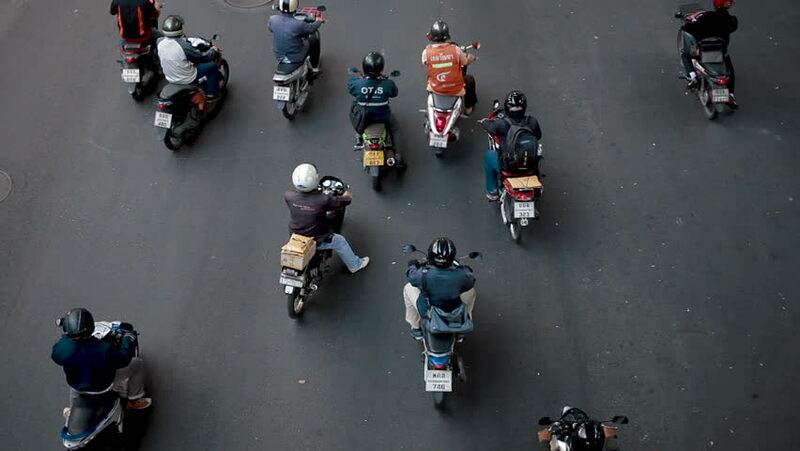 Cool view from above of chaotic rush hour traffic in Ho Chi Minh. 4k00:08HO CHI MINH - VIET NAM, August 30, 2017: Everyone is running a very crowded car in the street, it's a picture only in VIETNAM, people massively rushing motorcycle ran each other in the direction. hd00:29HANOI - 17 SEPTEMBER: Top view of people and traffic in Hoan Kiem district (old quarter) in Hanoi, Vietnam, on September 17, 2013.